Gone are the days when just by working 9to5 helped you build your empire. In this era of competition where just hard work is not enough you need to make your brain's and hard work meet. 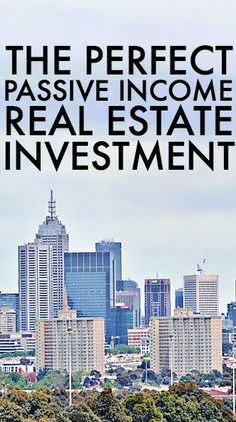 And in this global market Real Estate investment is the best passive income. Numbers don't lie, the 80% of the most richest people belong to the people who are some how in real estate. This is a very safe gamble, you just have to choose the right thing for you.